When we read about the construction the Erie Canal in our American history book, I didn’t get it. But when we drove from New England into upstate New York, we got to see it with our own eyes and it finally made sense. This man-made water way, through an elaborate, celebrated system of locks & dams allowed boats to travel upstream from NYC to Lake Erie. This connected a waterway all the way from Chicago and the Great Lakes to the booming Big Apple, which meant that the Midwest was now connected to the whole world. Small towns sprung up all along the route, bringing life and trade and culture and American pride to upstate New York. Since that time however, there have been a few changes. Railroads. Cars. Airplanes, to name a few. Traveling upstream by boat is no longer an efficient way to get from the NYC to Chicago. And the local economy tells the story of this shift. The canal is dotted with abandoned factories. 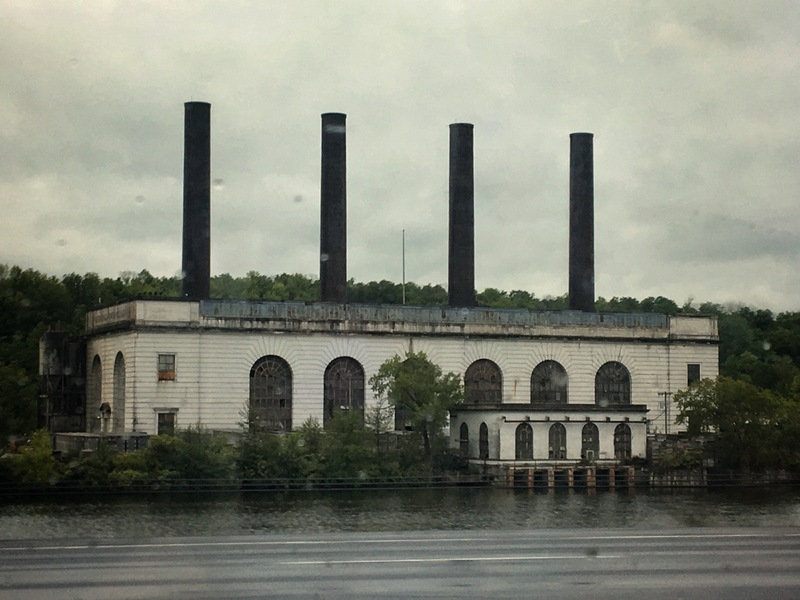 As we drove through the small towns in the green New York Adirondacks, we saw lots of empty factories, broken windows, boarded-up businesses, and the kind of graffiti that doesn’t have many redeeming qualities. We read online articles as we drove through the area about the booming industry here in the early 1900s, and how changing economics and culture has slowly turned it from the heartland of America to the “Rust Belt”. This seemed both figuratively as well as literally true, as dozens of pick up trucks made more of rust than metal passed us on small highways, and crumbling silos stood as nothing more than monuments to the wealth that was once stored inside. The Rust Belt is definitely not confined to the path of the Erie Canal, but this is where we first encountered it. 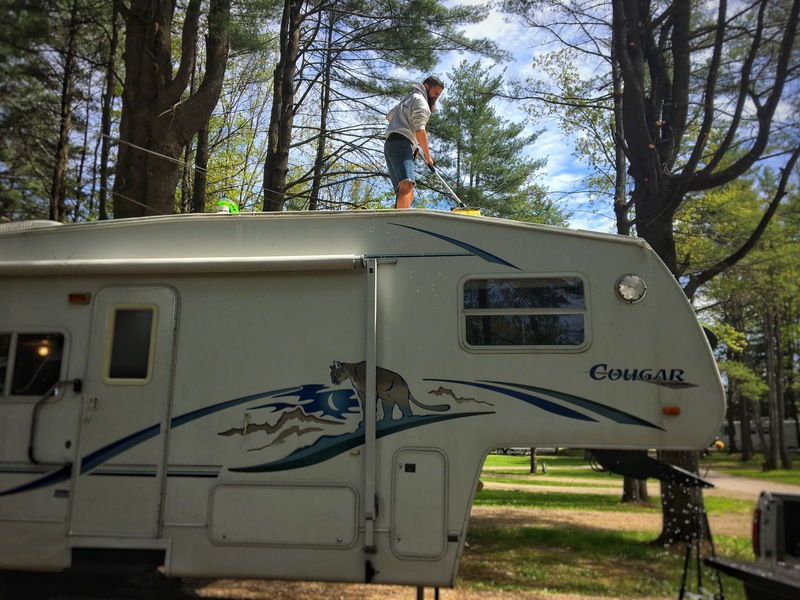 Despite the rather gloomy state of the overall economy of the area, we ended up at a great campground outside the town of Johnstown, NY called Royal Mountains RV. 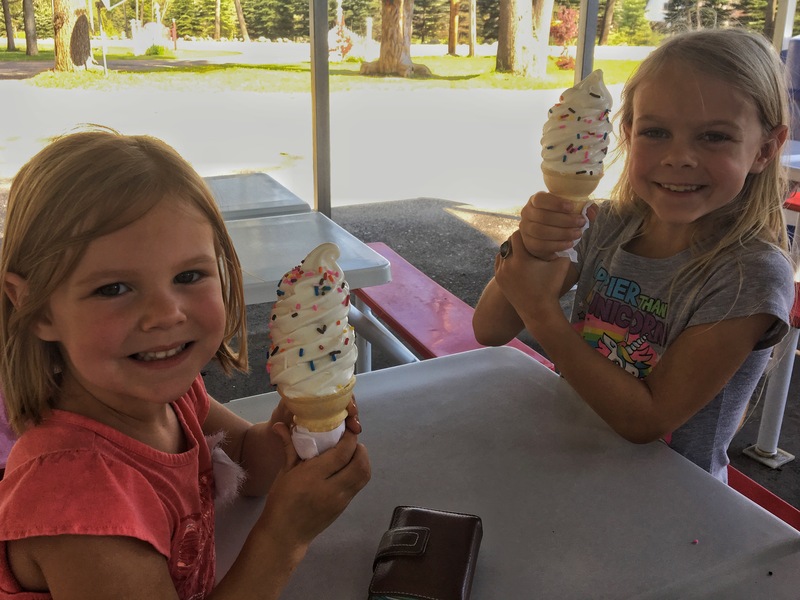 The campground has been in operation about 30 years, but is really just the side project of the main attraction there in the woods – Granny’s Ice Cream. This place seemed to be in the middle of nowhere – it was 20 minutes either direction on a small 2-lane highway to get to a town big enough to have a grocery store. But all hours of every day there were a dozen people enjoying the delicious Granny’s softserve at the roadside stop. The girls talked me into an afternoon splurge on one particularly warm afternoon. The campground has been slowly carved out of the woods behind the ice cream shop, so we camped under a canopy of mature trees. 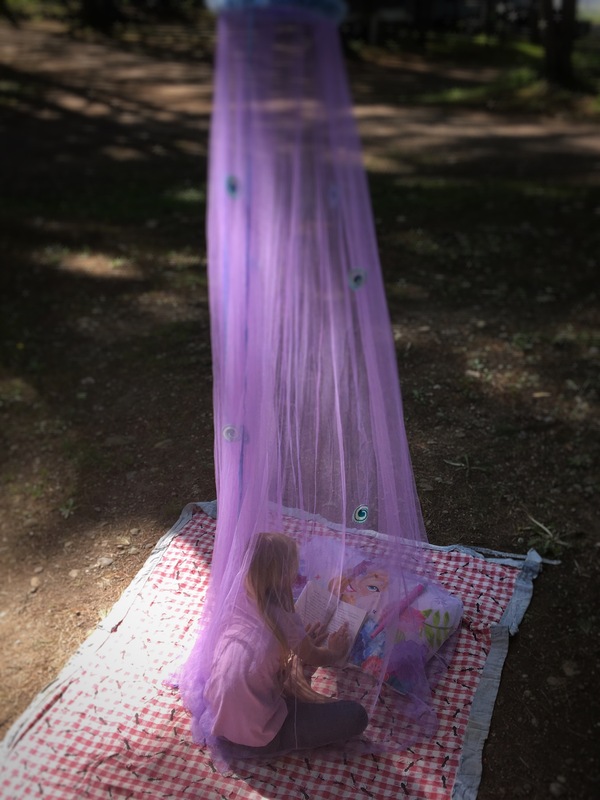 The campground also boasted a small pond with covered bridge, a playground, and a pavilion where group BBQ s and activities take place on summer weekends. 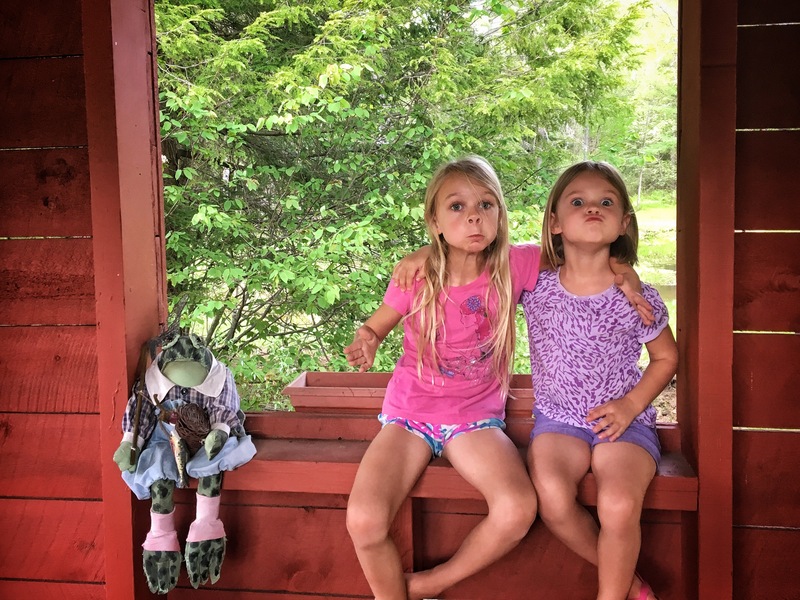 Mimicking the stuffed frog who guarded the covered bridge. 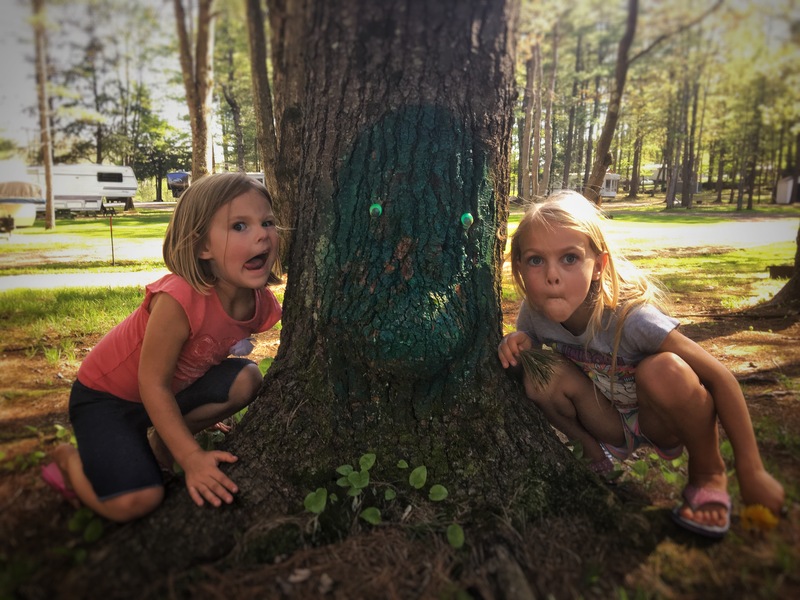 Many knobby parts of trees or roots protruding from the ground in the campground had been painted into faces or forest creatures. 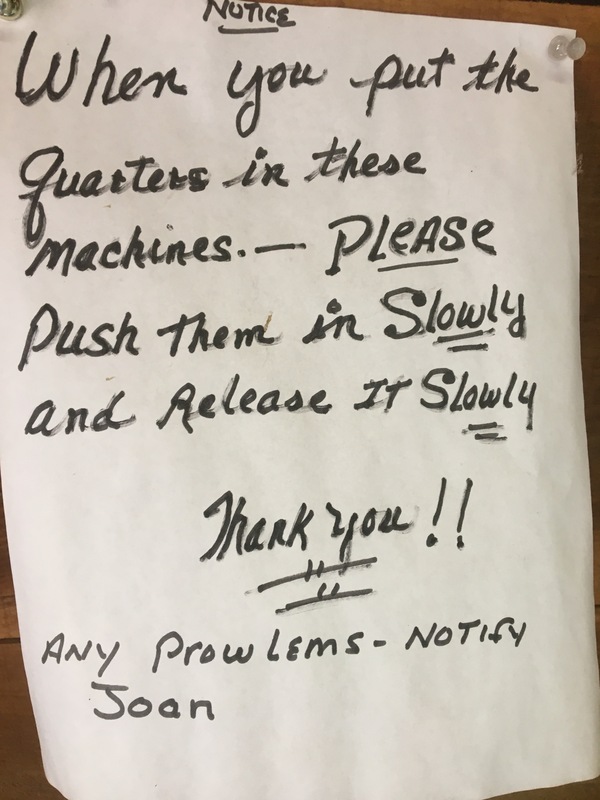 We have such a collection of pictures of funny misspelled signs. Do you see the prowlem with this one? 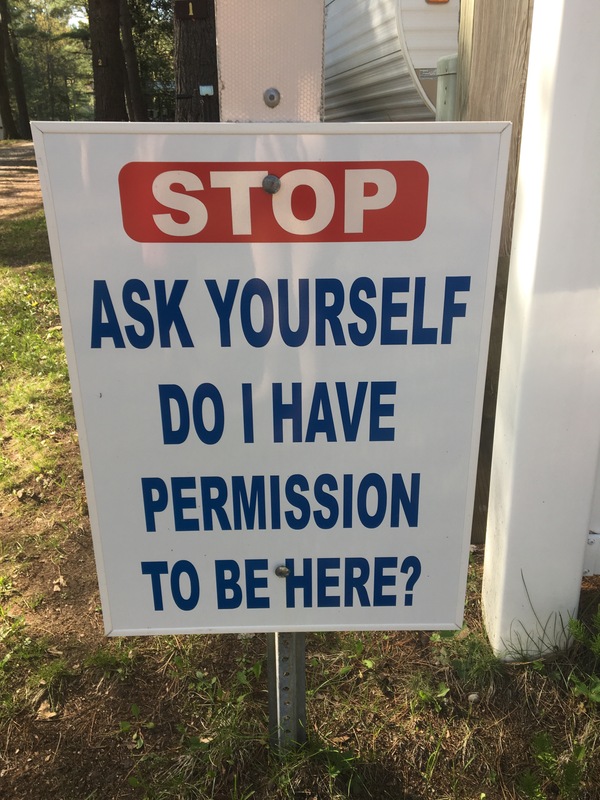 As I’ve mentioned before the campgrounds in the Northeast have a different culture to them, with many people paying for seasonal spots. This place was the same, but many of the older residents were arriving for their summer stays. In the campground culture at these places apparently you are nobody if you don’t have a golf cart to drive around the campground. Little old women or large old men zip all around in them, usually with a small dog in tow – often in the passenger seat. 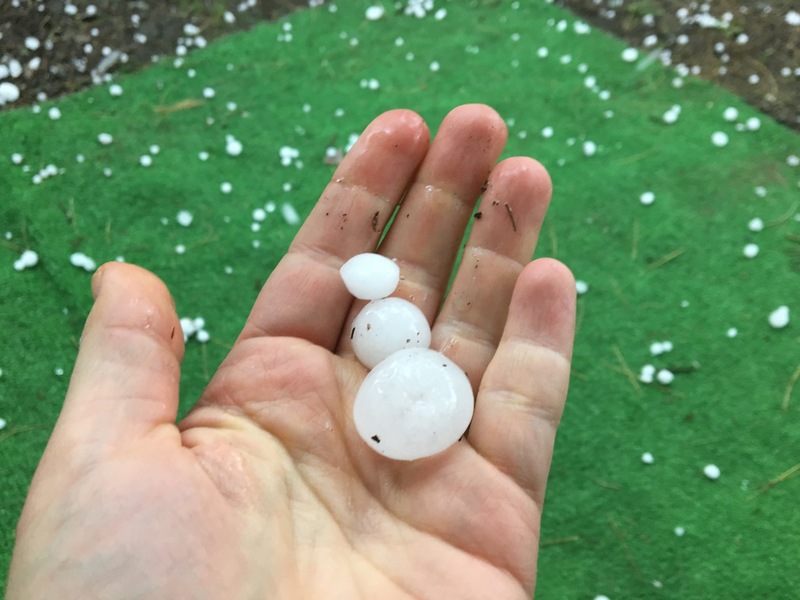 We had our first hail storm at this campground. Stumble finally got a much needed bath at this campground, so Brad got to enjoy the feeling of checking something off his to-do list that had been sitting there for months. 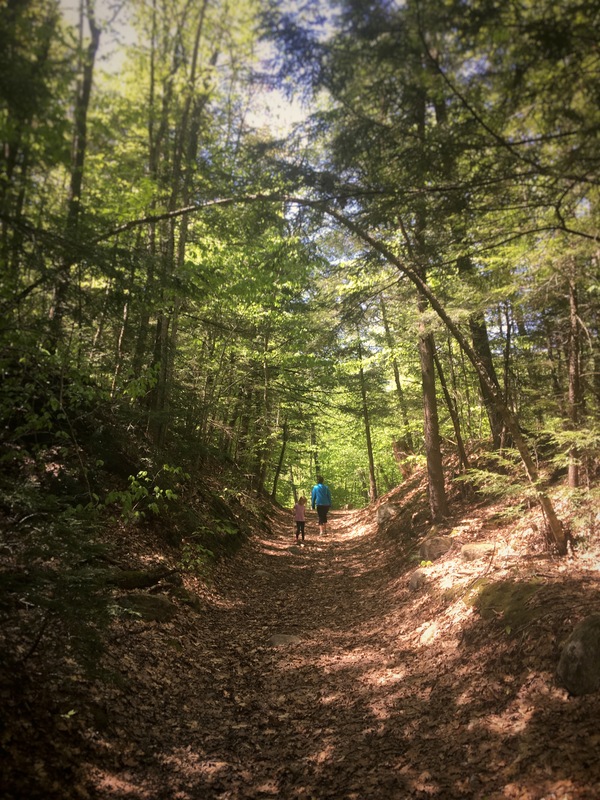 We had intended to explore the Adirondacks from this location, but every time we tried we found the trails to be more like muddy streams than enjoyable paths. On one family hike there were so many swarming bugs that we made it to our destination, a small pond, and immediately turned and ran most of the way back to the truck. 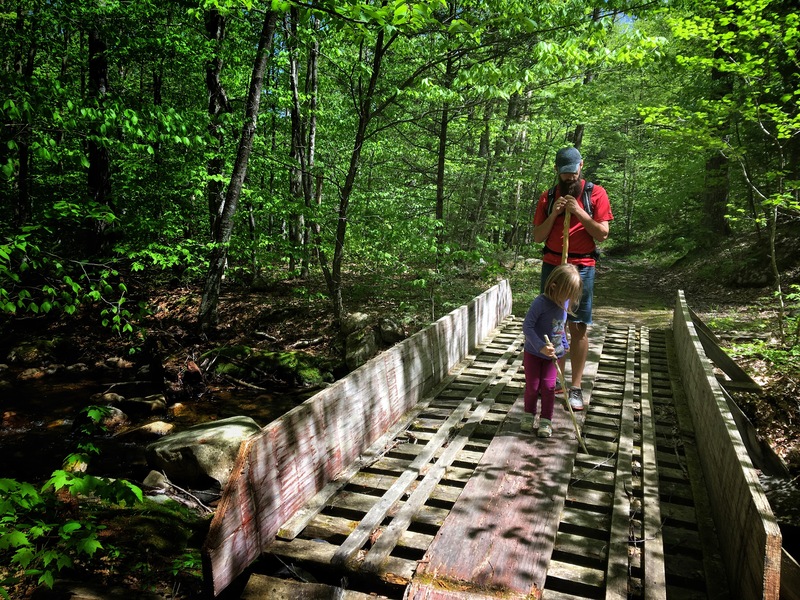 The hike out to the pond – trying to keep a good attitude despite the bugs. It seemed that a lot of these trails are used mostly for snowmobiling in winter. On the way back Sunny and I were starting to feel a little overwhelmed. 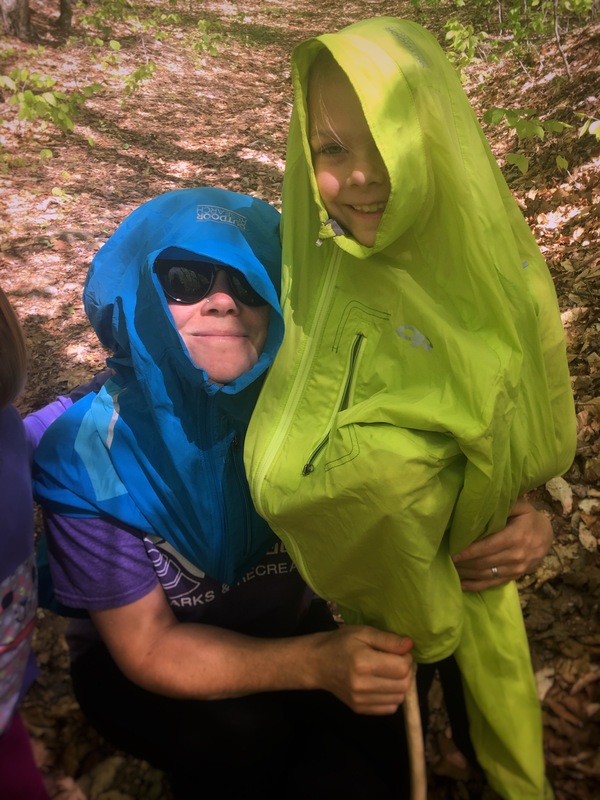 We turned jackets into bug nets and ran much of the way back. We all drove into a larger town one day so that Brad could find a good location to get some work done while the girls and I checked out another science museum. 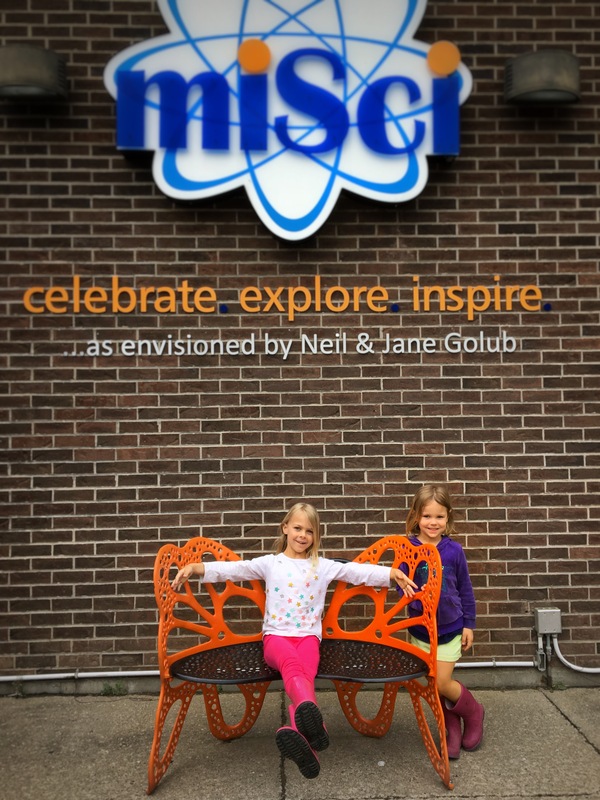 Museum of Science & Industry in Schenectady, NY. 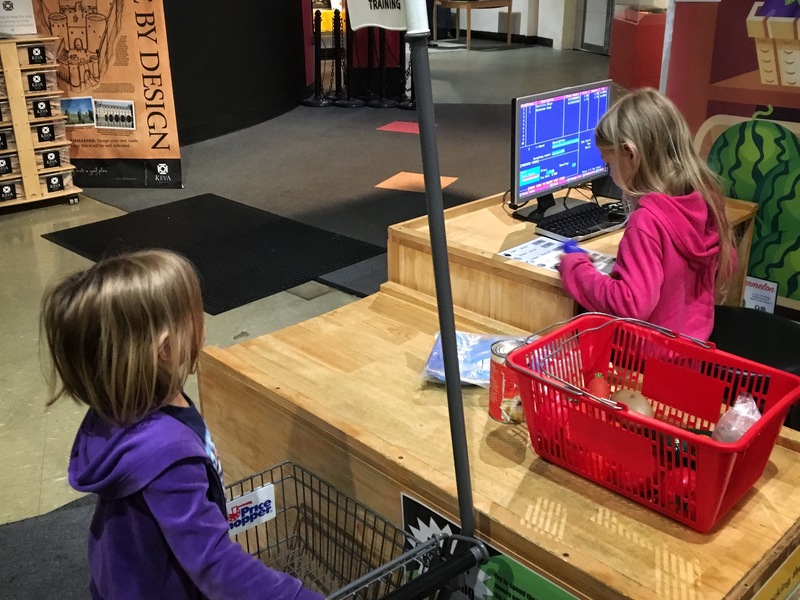 This kid-sized grocery store had a real scanner and cash register software, so we had a lot of fun scanning barcodes, finding totals, and even printing itemized receipts. 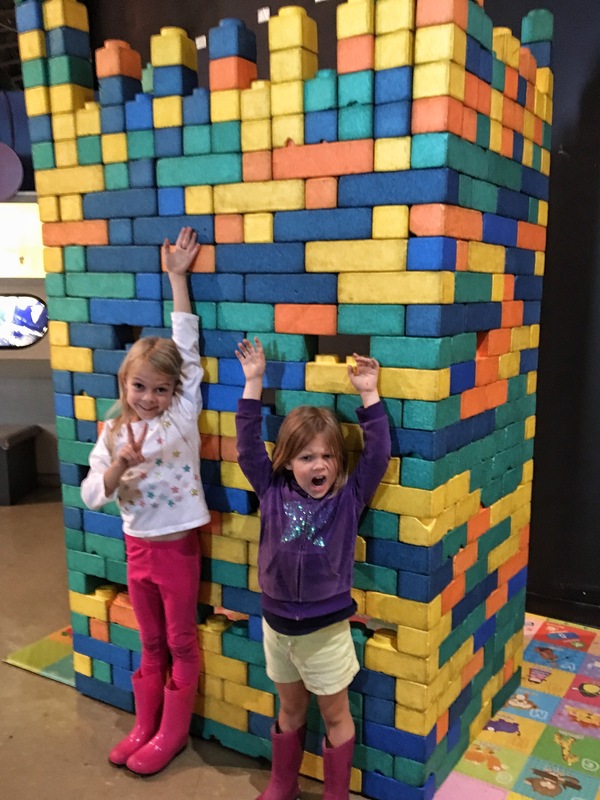 They were so proud of this giant, foam block castle. I know that I recently wrote about not judging a place by brief nonconsequential experiences, but in the rust belt town of Schenectady, we had an awkward run in with a very grouchy mother at a local playground, and then we were gently rear-ended by another car at a stop light. So we were pretty eager to put that town behind us. Brad & I celebrated our 13th wedding anniversary at this campground! It was perfect that Granny’s Ice Cream was part of the property, making this the first chance we’ve had to “go out” after the girls were in bed. 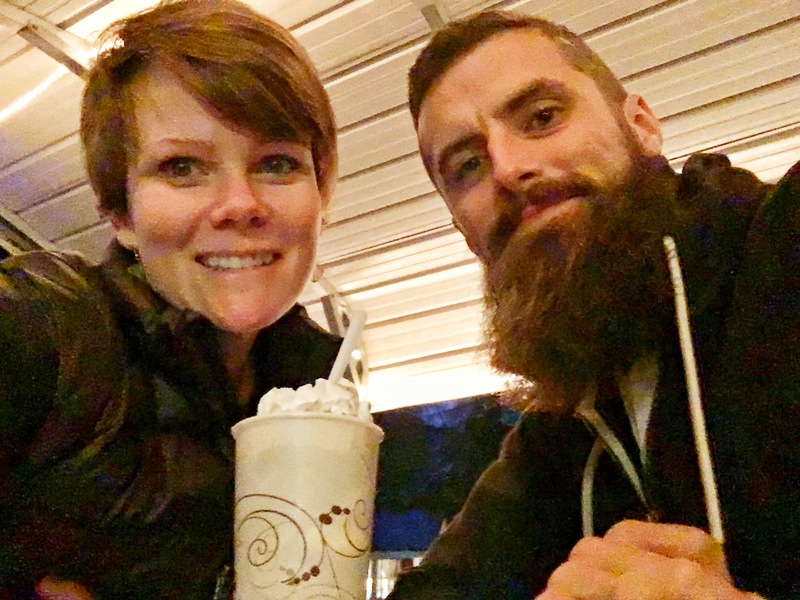 With walkie-talkie in hand, we enjoyed this ice cream sundae with a milk shake on top, all still within eye-sight of Stumbo.